The history of today’s Spenner GmbH & Co. KG is the story of numerous dedicated founders, their companies and families in Erwitte since 1926. As directors, Wilhelm Güldenhaupt, Friedrich Wilhelm Zassenhaus senior and Friedrich Wilhelm Zassenhaus junior establish the “Felsenfest Westfälische Kalk- und Zementwerke” in Erwitte. Twenty-two years later, the company is acquired and managed by Josef Spenner, who originated from Büren. 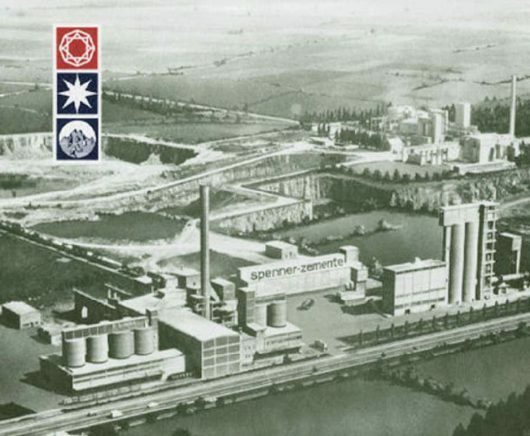 The brothers Josef and Heinrich Spenner, along with building contractor Ferdinand Pauly, the father-in-law of Josef Spenner, establish the “Nordstern” cement works for natural cement, in Erwitte. 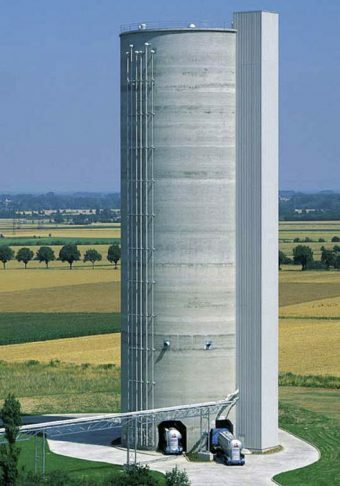 The planned output of the cement works is approx. 40 to 50 t per day. Dr Josef Heinrich Spenner, son of the company founder Josef Spenner, joins Nordstern as managing director next to director Hermann Michels. “Hektor”, the last horse to work in the quarry, retires. Until then, the stone extracted from the quarry had been conveyed by winch. “Hektor” had pulled a tipper wagon full of limestone for a short distance (1–2 metres) to the weighing station. There were also rail tracks for the tipper wagons for each salt spring in the quarry on the way to the breaker. Later on, obsolete trucks replaced the tipper wagons on the company premises. The transport business at “Nordstern”/“Felsenfest” was also operated by Karl Spenner, one of the brothers of the company founder. At the instigation of its “junior boss” Dr Josef Spenner, “Spenner Zement KG” starts building its first rotary tubular kiln in the “Diamant” section of the works. Production is carried out at the works using the heat-exchanger method, “almost completely dust-free” in comparison to the standards of the day. Spenner’s daily production now totals 700 t of rotary kiln clinkers. Following completion of the Diamant works in 1965, the cement of the same name is introduced as a mixture of shaft kiln and rotary kiln clinkers. Thanks to its high initial and final strength, “Diamant” cement becomes a great success. 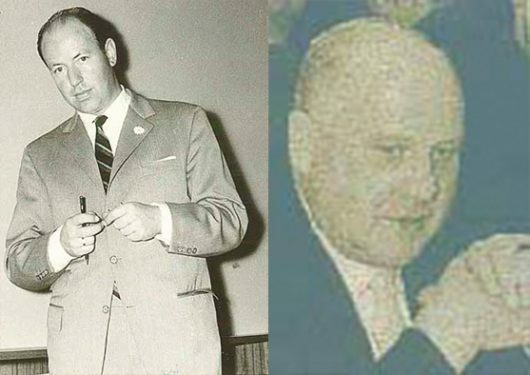 Founding of Spenner Zement KG, and contribution of shares of former companies “Nordstern” and “Felsenfest”. Dr Josef Spenner becomes a personally liable partner of the KG, Thea Evers née Spenner becomes a limited partner. Each partner has a 50% share in the business. Spenner Zement commissions the second rotary kiln. It is the first “short rotary kiln” in the world, and causes an appropriate sensation amongst experts. Energy consumption of the second rotary kiln is approx. 3,400 MJ per ton of cement clinkers, with an authorised daily output of 2,500 t of clinkers. A dry mortar mixing system is added to the works in Erwitte. The works produce various types of mortar using several components. Mortars are dry-mixed building materials which only need to be mixed with water at the construction site. Spenner Zement once again expands its range of products and commissions its first limekiln. Fields of application for quicklime include steel production, soil cementation and flue gas desulphurisation in power stations. The second limekiln is commissioned in 1991. High-percentage limestone is required for manufacturing the lime and is transported to Erwitte from the company’s own quarry in Brilon. 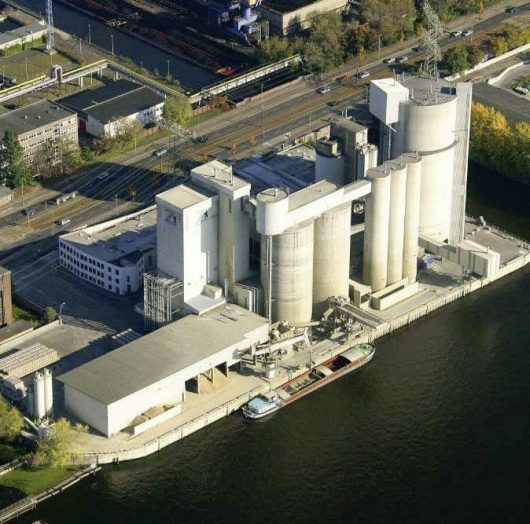 Spenner Zement GmbH & Co. KG, along with two medium-sized partners (Märker Zement GmbH and Portlandzementwerk Dotternhausen Rudolf Rohrbach KG), acquire the Rummelsburg cement works in Berlin, located directly on the River Spree, in a trust transaction. The works in the Lichtenberg suburb of Berlin had formerly been part of the Rüdersdorf/Dessau cement-producing collective. Since then, the milling plant has traded as Zementwerk Berlin GmbH & Co. KG. In 2004, Spenner Zement takes over the remaining shares in Zementwerk Berlin from the former co-owners. Dr Dirk Spenner, a third-generation member of the family, joins the management of the company. Dr Spenner is appointed manager in 1995. In 2001, he also assumes personal liability of Spenner Zement GmbH & Co. KG. 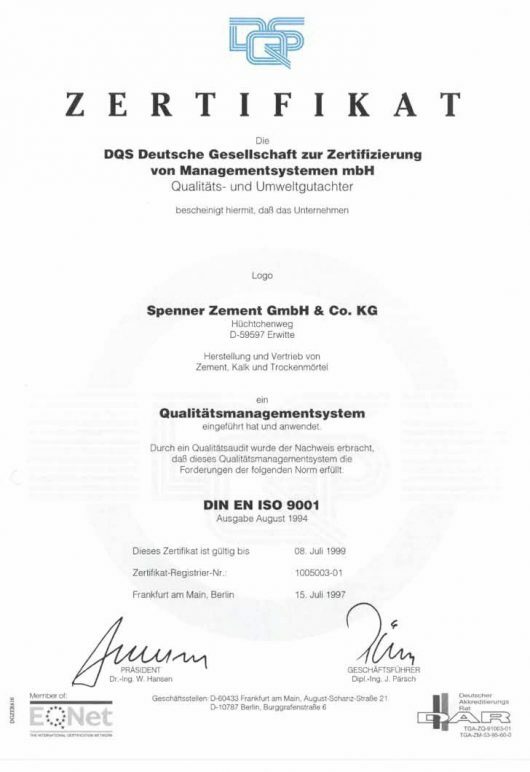 Spenner Zement is one of the first cement works to introduce a certified quality management system in accordance with DIN ISO 9001. During the next few years the company also introduces an environment management system in accordance with DIN ISO 14001 (in 2001), an industrial health and safety protection system in accordance with OHSAS 18001 (in 2005) and an energy management system in accordance with DIN ISO 50001 (in 2012). Spenner Zement enters the ready-mixed concrete business and builds its first ready-mixed concrete works in Kaufungen, near Kassel. The company trades under the name “Herkules Transportbeton GmbH & Co. KG”. 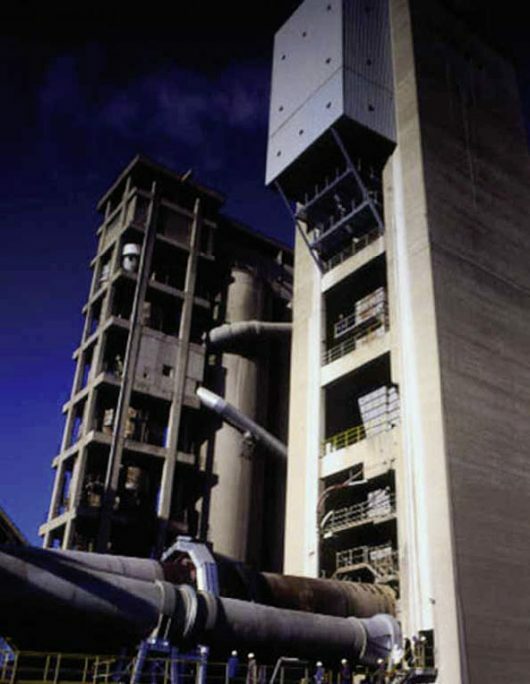 In 1998, five ready-mixed concrete works in Essen, Duisburg, Dortmund, Münster and Siegen are acquired from HOCHTIEF. Between 1999 and 2011, 15 further ready-mixed concrete works are acquired in Central Hesse (Solms, Dillenburg, Buseck), in Lower Saxony (Braunschweig, Neindorf), in Rhineland (Leverkusen, Niederkassel), in Siegerland (Freudenberg), in Münsterland (Nottuln, Velen, Spelle, Rheine) and in East Westphalia (Schloß Holte, Lage, Paderborn). By 2011 Herkules is manufacturing at 21 different sites. Official opening of the first multi-chamber blending silo in Erwitte to coincide with the company’s 75th anniversary. 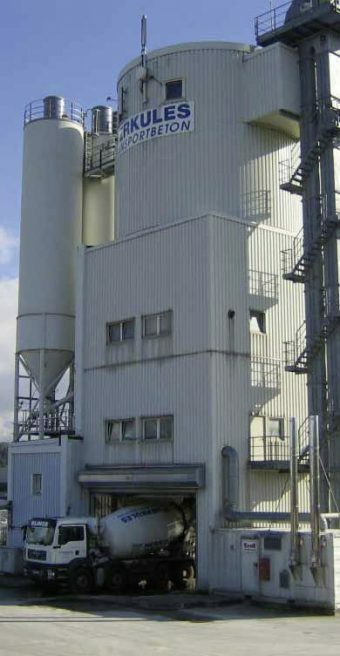 The silo is equipped with 16 silo chambers and uses a state-of-the-art mixing technique for the production of special cements consisting of several components. Commissioning of the new limekiln 3, which works using the direct-current-countercurrent regenerative method. The results are very positive: 25% fuel savings compared to the former method, making it one of the most energy-efficient limekilns in Europe. The rotary kiln system is modernised in two stages. In the first renovation phase in spring 2007, firstly the existing tubular cooler is replaced by a grate cooler supplied by the company IKN. In the second construction phase at the beginning of 2008, the calcinator is renewed by the company FLS. Thanks to these modernisation measures, the rotary kiln system at Spenner Zement now complies with the global state of the art, both ecologically and economically. Acquisition of the newly built central system for controlling the entire cement and lime production at the Erwitte site. At the same time, the entire traffic routing at the site is improved and channelled to the company via a central approach road.